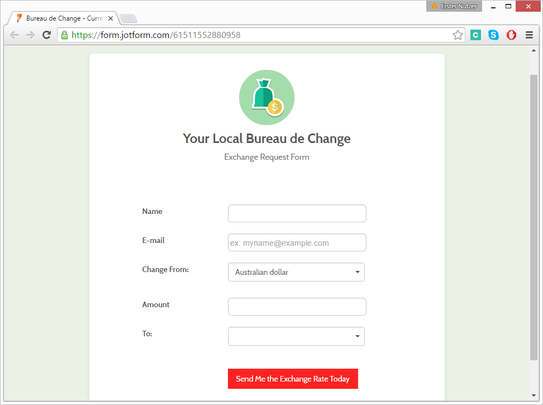 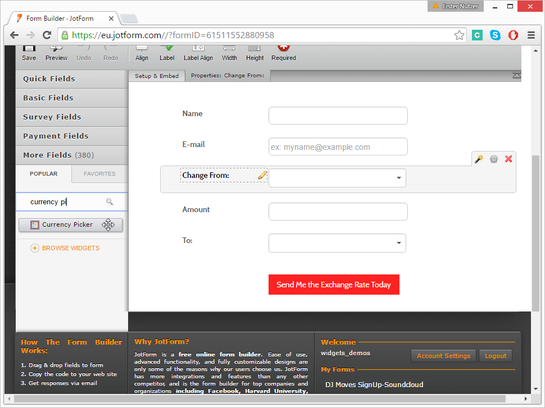 The currency picker gives your form users the convenience of identifying a currency they would like to use as an option on your form. 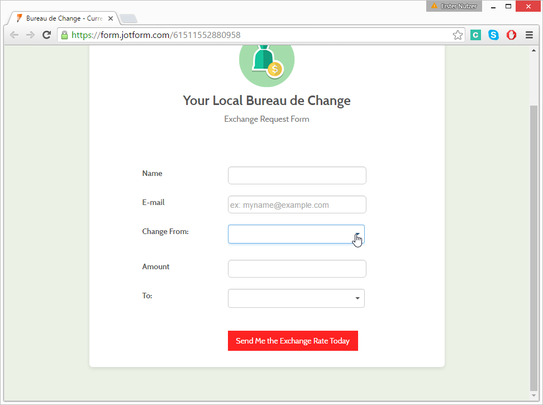 This widget lists all the world currencies in a single drop-down list, reducing the design time of your form, as well as increasing your form&amp;#39;s ease of use. 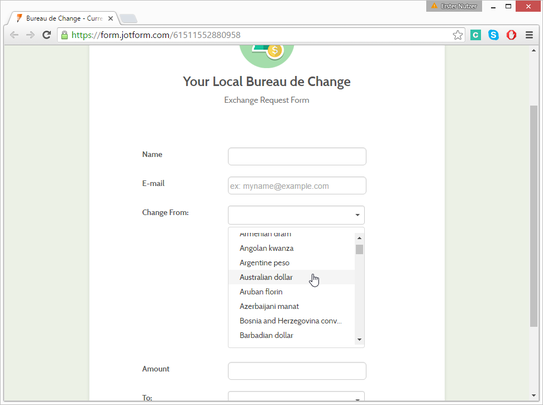 The widget not only looks great on your form, but saves on vertical space by shrinking back once the currency choice has been made.